"If music be the food of love, play on,Give me excess of it; that surfeiting,The appetite may sicken, and so die." This quote comes from Act One, Scene One, lines one through three from the play Twelfth Night. 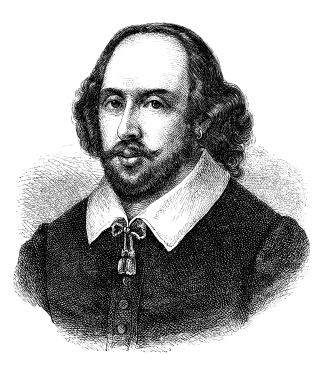 Shakespeare coined a great deal of quotations that are in common usage today. The words here are not too complicated too unpack. The speaker is acknowledging that music seems to be the "food of love," or that music makes the individual inspired to love. Perhaps the person even feels that music causes others to fall in love with him or her. In the context of the words, we see that the speaker desperately wants love. By being "fed" love, the appetite will eventually go away. He feels that he needs love to survive. Page through some of Shakespeare's other works. You will quickly find that he frequently uses images of food to demonstrate love and a whole field of other emotions and ideas. "Who Said \"If Music Be the Food of Love, Play On\"?." YourDictionary, n.d. Web. 20 April 2019. <https://quotes.yourdictionary.com/articles/who-said-if-music-be-food-love-play-on.html>. It was Shakespeare who said, "If music be the food of love, play on." The full context of the quote was:"If music be the food of love, play on,Give me excess of it; that surfeiting,The appetite may sicken, and so die. "This quote comes from Act One, Scene One, lines one through three from the play Twelfth Night.